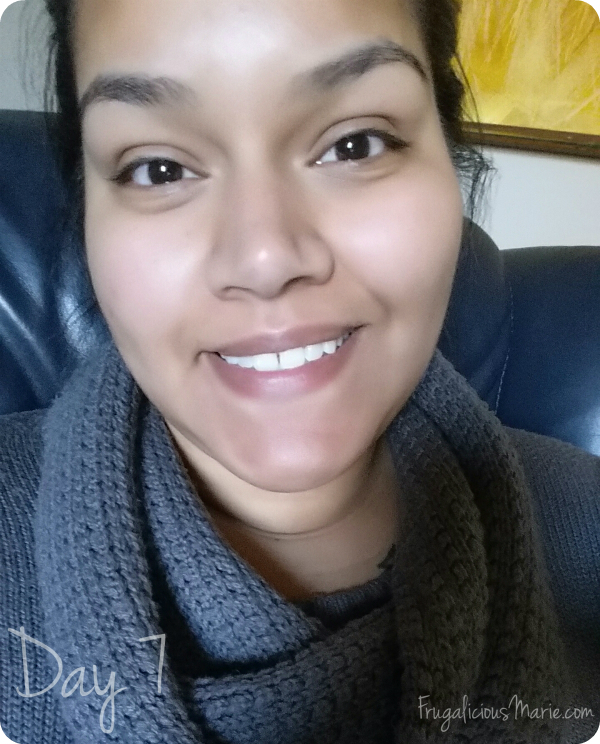 My Teeth Are White Thanks to Smile Brilliant - My Product Review! 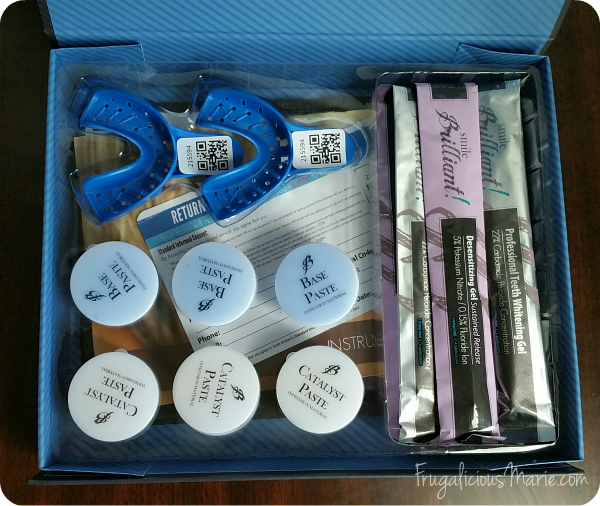 Disclosure: I received these products complimentary from Smile Brilliant to test and review. Although this post is sponsored, all opinions are 100% my own. So a few weeks ago I received an email from the company of smile brilliant. I started reading over the email and doing research. After that I emailed back and that brings us to where we are at now. See you smile brilliant as a company that sells products to whiten your teeth. The package that they have is priced at $119.95, now you go to your dentist to get your teeth whitened it will cost you anywhere from $500+. 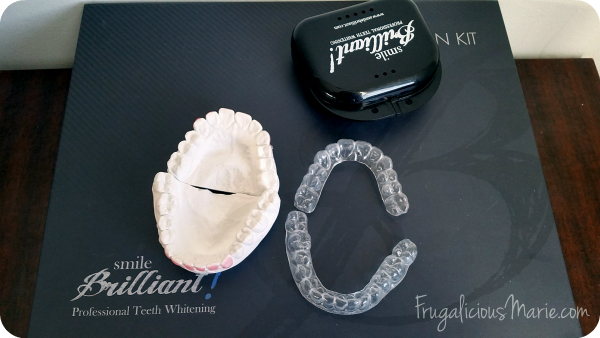 I don't know about you but I sure don't want to pay more than $500 to whiten my teeth and get custom trays when I can get a product from smile brilliant that does it in a fraction of the price for the same exact results. 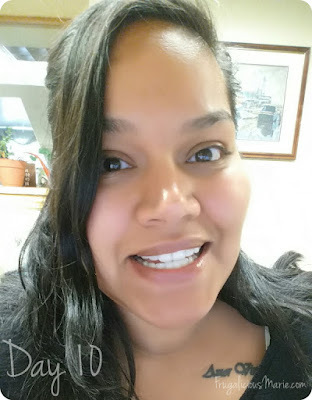 So I chose to do this product review because I have been wanting to whiten my teeth but I never really wanted to pay that amount of money to do it. I started doing the research about the product and the more and more I researched the more and more I fell in love. Their package includes the teeth 3 whitening gel syringes, 3 desensitizing gel syringes along, catalyst paste, base paste, and your envelope along with your molding trays. 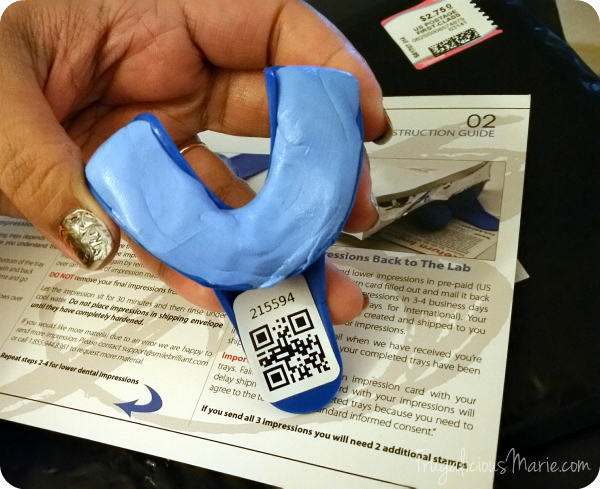 So the first step to everything is a you have to make a mold of your teeth now in the package they send you the clay and the molding tray that you have to mix together and place so that you can make an indentation of your teeth. 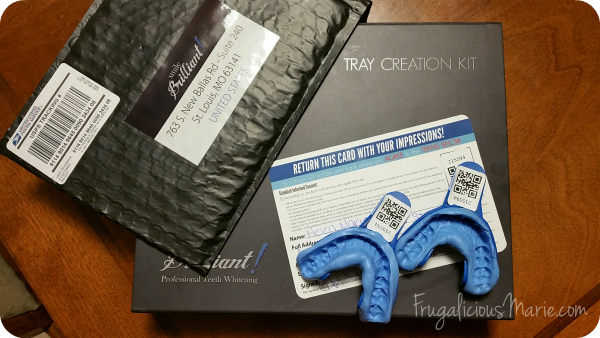 There's also an envelope that comes in this package in which you will be using to mail out your dental impressions the plastic dental tray has a serial number with a QR code as the the envelope so that way they know that once they received your product it is scanned in and its matching what the envelope as so that way you can get your impressions back. What they do then is that they create a mold and from the mold they put you know they make your dental trays. 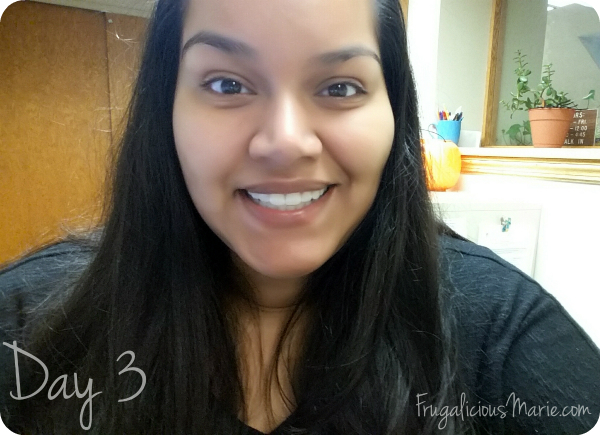 It took me about a little over a week to get my dental impressions. Now what smile brilliant did and they don't do for Customer is at the actually sent me the mold of my teeth my top and my bottom teeth. I took a few pictures as you be able to see below of how the mold looks like. For me I thought it was very cool to include that in my envelope. I started my teeth whitening routine on a Monday now you want to start out doing it for 30 minutes because what happens is when you apply the teeth whitening gel you put that into your dental impressions and you snap it in. You don't know if you're going to have sensitivity on your teeth so it's recommended that you do it for 30 minutes first and then gradually start going up to 45 minutes to an hour to an hour and 15 an hour and a half to then 2 hours. 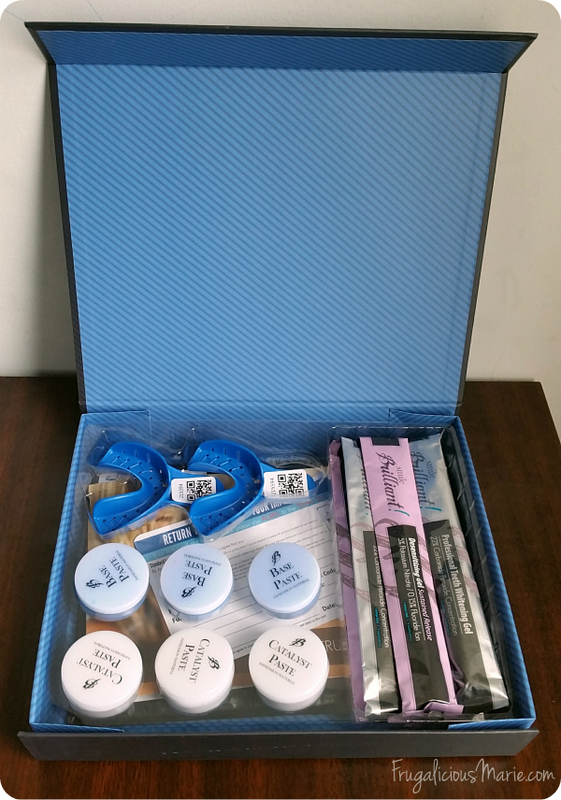 After every session of the teeth whitening gel you want to do a session of the desensitizing gel that way the pores I have just been opened up from the teeth whitening gel will now close with the desensitizing gel. I've never had teeth sensitivity but I did have a little bit not as much but after I did the desensitizing gel, I was fine. You can do this for a week or two weeks I did two weeks because I'm a coffee drinker so I had some yellow stains to my teeth that I wanted out. Now is where I really start to get specific on how this routine works. First you want to start with flossing your teeth I've lost all the time after every meal I'm obsessed with flossing so that wasn't hard for me to do. 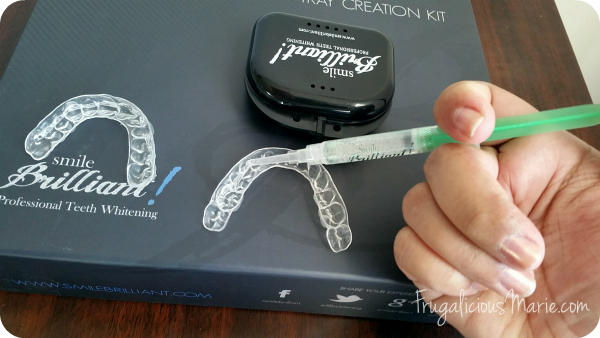 The second part is applying the whitening gel into your dental impressions. After that you want to make sure that your teeth are dry. You don't want any kind of saliva on your teeth right now so make sure you have a hand towel or tissue and just kind of dry your teeth making sure that your teeth are dry. Next you are going to snap in your teeth impressions. Wipe off any excess gel that may ooze out of the top. You want to repeat the steps for when you're doing the desensitizing gel. You want to do this as I said gradually so that you don't get that sensitivity to your teeth right away. Repeat this for the next week 2 weeks whatever you decide to do and then you just look at your results. 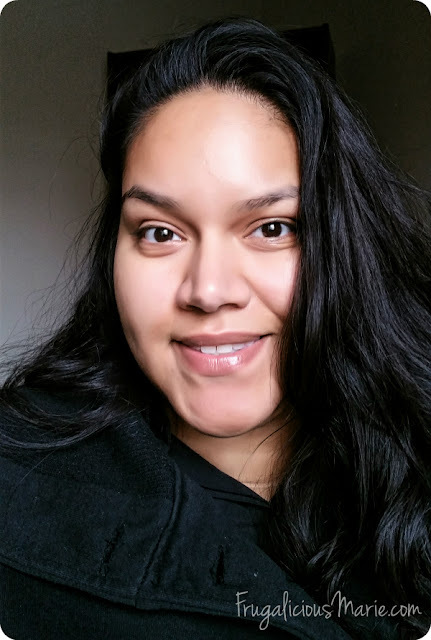 I was extremely happy with my results I got numerous compliments from coworkers from friends from strangers in the store that I had conversations with that would just stop in the middle of the conversation and say "wow your teeth are really white what do you use?" I was excited to tell him what I used and when I told them they couldn't wait to look it up and by one of the packages. My before and after pictures are shown below. You can clearly see that you couldn't see my gap that much because of the yellow stains. My teeth look awesome! Overall I loved this experience I love this product when I do run out I will be buying more because I would prefer to pay a $119. instead of $500+. I hope you liked reading my review. I really hope that you try it. I recommend that you try it. Just head over to the website that I have listed below. 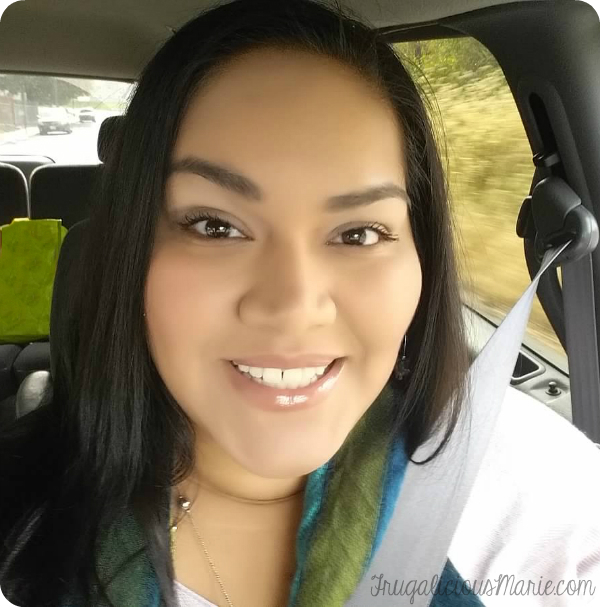 I'll leave a link for you to click on and order your package! Showing off my brilliant white smile! Quick rundown of what you need to know about this amazing product! Use the desensitizing gel after each application even if you experience no tooth sensitivity because it helps seal off the pores in the teeth thus preventing/reducing re-staining while the pores are open from the whitening. 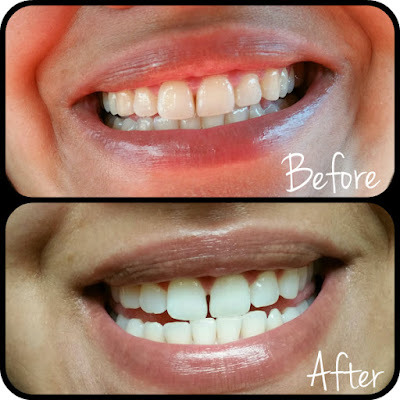 Begin your first 1-3 applications with only 30-60 minutes so you gradually introduce your teeth to whitening and then gradually increase to 2-3 hours per application. I'd love to know your opinion if you do go and buy it leave a comment below if you have already tried it and I will be sure to answer you. Want to read some other reviews? 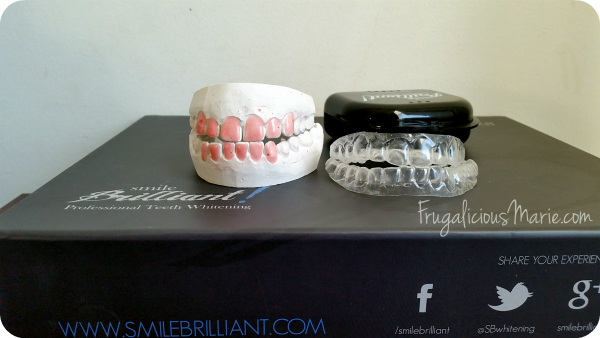 Click here to read Smile Brilliant reviews! Make sure to watch the video shown below from Danielle Mansutti showing how her teeth looked before using Smile Brilliant and how they looked after! I will be posting my video review once I finish the editing.